While Jim Wayne's novel unflinchingly presents the existence of evil, it succeeds equally in creating the presence of strength and goodness. This gripping novel also raises questions for any reader about his or her own private or public unfinished self. ﻿In Jim Wayne's novel The Unfinished Man, the scholarly and unsociable Father Justin Zapp needs to examine the psychic wounds incurred in his youth when a priest sexually exploited him. ​Though Father Zapp has positioned himself within the church in a situation that allows him brilliantly to pursue scholarly work, his capacity for human interaction is severely limited. When news comes to Father Zapp of current sexual abuse within his diocese, he is challenged to become a strong shepherd protecting his innocent flock from predation. Can his faith survive the finding that the Catholic Church itself, the largest organization in the world, has commonly covered up sexual abuse by priests instead of working to eliminate it? Can one man make a difference? 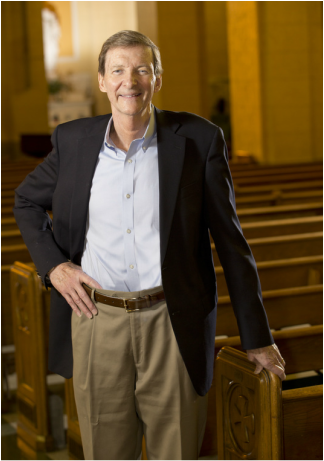 Jim Wayne has written for Commonweal, America, National Catholic Reporter and Catholic Worker. He earned his MFA in fiction from Spalding University in Louisville, Kentucky in 2012. A practicing psychotherapist, he holds a MSW degree from Smith College School for Social Work in Northampton, Massachusetts, as well as a MA in theology from Maryknoll School of Theology in New York. As a state representative in Kentucky, he worked with victims of the Catholic clergy sexual abuse scandal to successfully sponsor legislation to tighten the reporting requirements and penalties for sexual abuse of minors. He resides in Louisville with his wife Debbie. They have two grown children and four grandchildren.